1. Mix together honey, dark soy sauce, fish sauce, and lime juice to make sauce, set aside. 2. Heat oil in a large frying pan. Fry lemon grass stalk, ginger, garlic and chilies for about a minute. 3. Add mince, then stir-fry on medium-high heat until cooked, breaking it up with a wooden spoon as you go. 4. Add sauce and shredded lime leaves, then cook everything down until sticky. Add shallots, chopped green beans and stir well for another 1-2 minutes. 5. Finally add Thai sweet basil. Stir well, discard lemon grass. 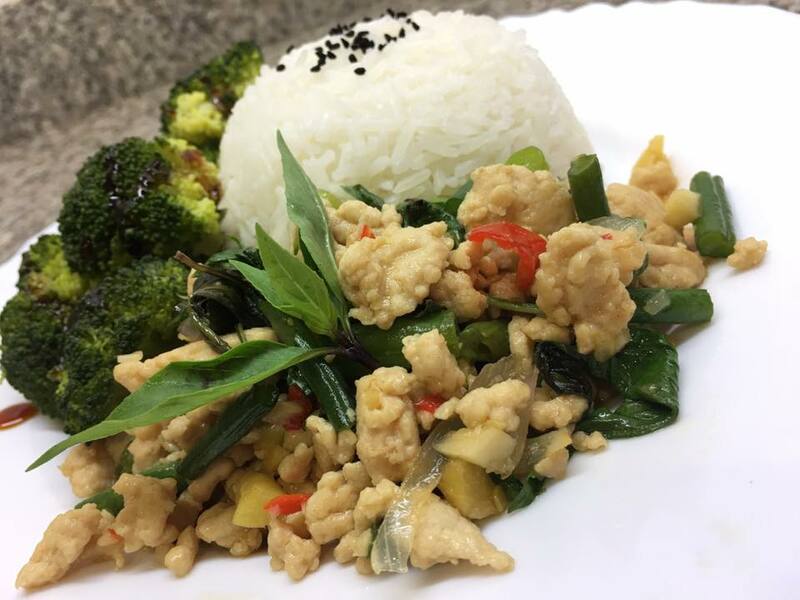 Serve spicy minced chicken with Jasmine rice and a side of steamed greens.